By Jane Paley. Harper. $15.99. From Jimmy to Hooper, from Lake Charles, La., to New York City, this deeply engaging narrative is a celebration of life, its steep challenges and stark contrasts. The trigger for setting everything in play is, of course, Hurricane Katrina in late August 2005. 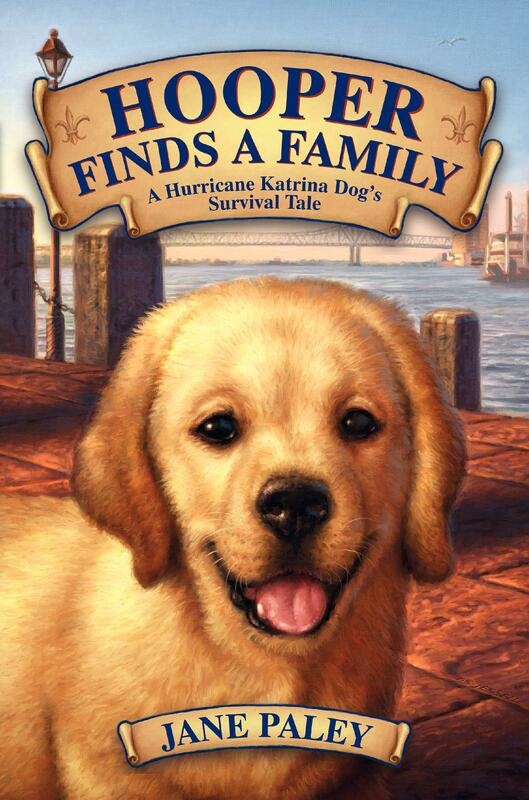 Written in first-person (make that first dog) Jimmy, the Labrador retriever’s original name, and later Hooper, his adoptors’ choice, it takes you through his brushes with death, including those atop a floating rooftop; his angst in noisy rescue kennels; and fear of being a good fit in his new home. But one of shelter volunteer Chrissie’s favorite sayings, “go with the flow,” enables this self-perceived “Southern dog with a lot of charm” to make new friends and move forward in dog parks and bustling city streets of The Big Apple. An uplifting, yet sobering read, “Hooper” reflects a tough realism and a resilient can-do spirit into an inspiring lesson of hope and heart. A byproduct of this portrait is that the author, an assistant professor in the Division of Mass Communications at St. John’s University, and Hooper are involved in several animal-related services, including Labs4rescue, their meeting ground.